How many of you have all the following cleaning products cluttering up that space in the laundry cupboard, under the kitchen sink or in the garage. In my experience you only need the four products hi-lighted to do most of the cleaning jobs around the home. Toilet cleaner with bleach will do the job of all of the products in the same group. Carpet spot cleaner will double as a pre-wash spray when doing the laundry and in my experience will do it better. Water will do the job of window cleaner, car wash and floor cleaner when used with the right micro-fibre cleaning cloth/mitt. All of the products in the cream cleaser group with do much the same job as one another and the multi-purpose spray will cover most of the other jobs that need doing around the home. Micro fibre really is the key to a clean home not chemicals. So cut down on the chemical, it not only save space it save money as well. 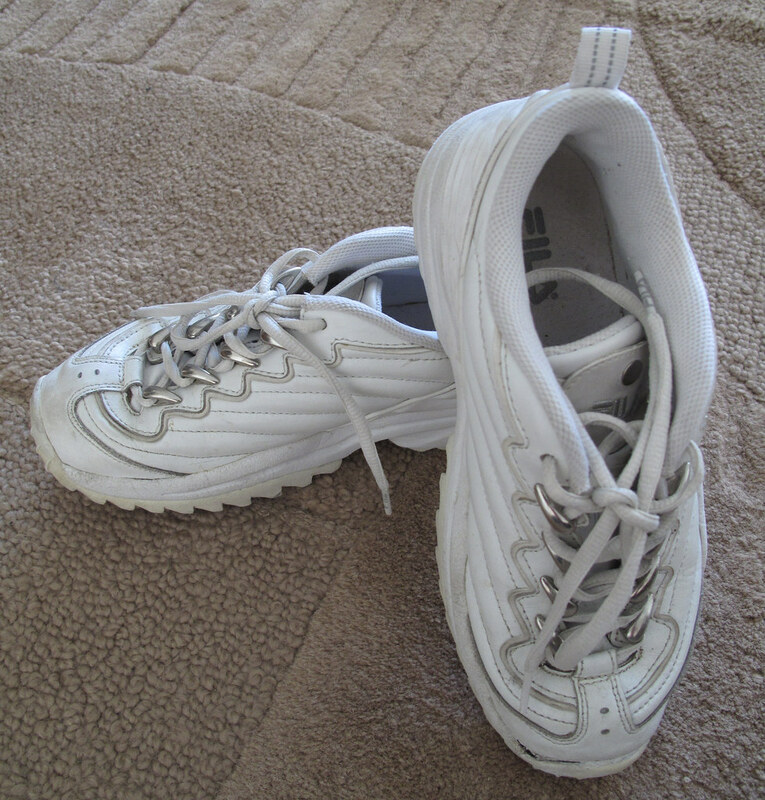 Today’s item is another pair of shoes that haven’t been worn in the last three years. Cheers! Can’t wait to keep reading! Tracibub, you should feel proud, good on you for cutting back on toxic chemicals in your home. There are still some in my home but I am hoping to find some alternatives soon that I feel are effective. My problem is that I hate cleaning product that don’t really work. I am glad my microfibre cloths take care of much of my cleaning without having to use any products at all.